This is a quality, ‘Select Mix’ of 32-40 cm Japanese koi from the breeder Marusei. 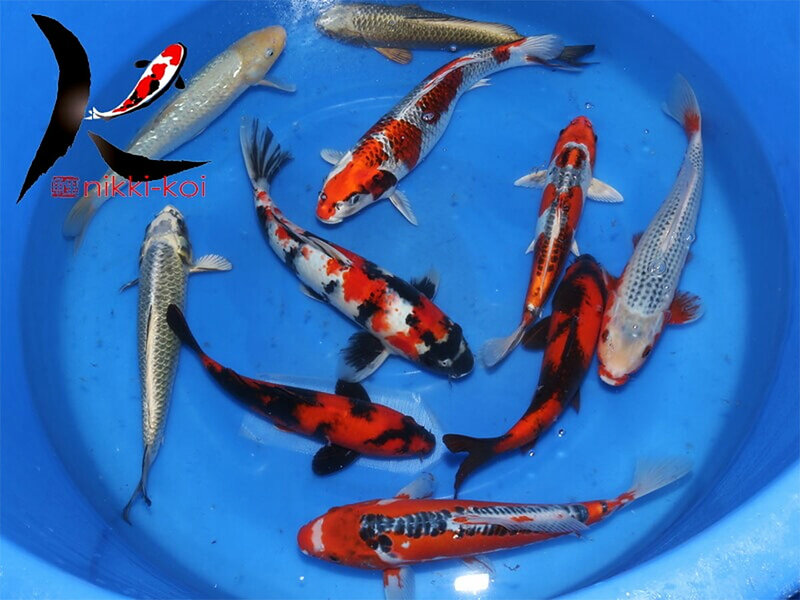 This ‘Select Mix’ of Nisai (2 year old) koi are hand picked by the breeder and are excellent quality. This is a WYSIWYG (what you see is what you get) box, which means that all 10 koi you see in the picture and video will be available for sale. 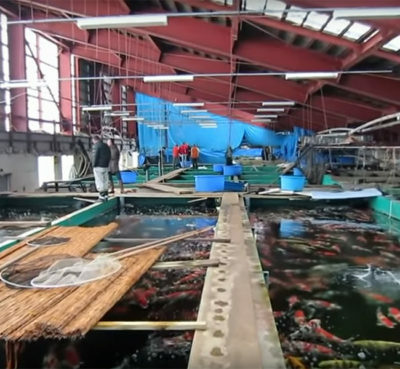 Marusei Koi Farm is one of the largest koi farms in the Niigata region. 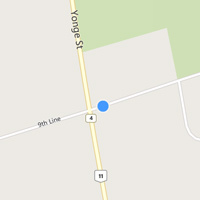 Originally founded by Seitaro Hirasawa, the farm is now run by his son Yoshiyuki. 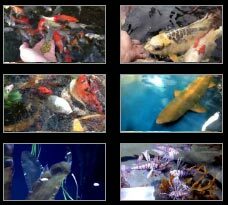 They have become well known their varieties of koi such as Go-Sanke, Kujaku, Hi-Utsuri, Chagoi, Shusui, Benigoi, Mizuho Ogon, Asagi, Aka Matsuba, Yamabuki, Karashigoi, Kinmatsuba and others.